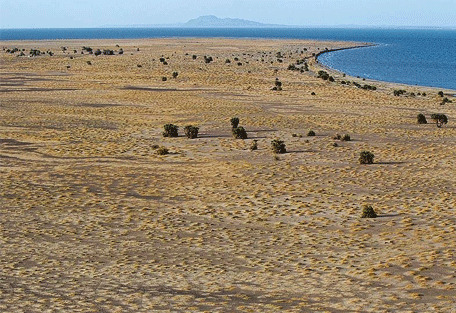 Lake Turkana in Kenya's remote northern frontier is a massive inland sea, the largest desert lake in the world. This single body of water is over 250km long, which is longer than the Kenyan coast in its entirety. It is widely known as the Jade Sea because of the remarkable, almost incandescent, colour of its waters. After a long journey through the sweltering deserts and lava avalanches of northern Kenya, the sight of this vast body of glistening, turquoise water comes as an unearthly, ethereal vision. 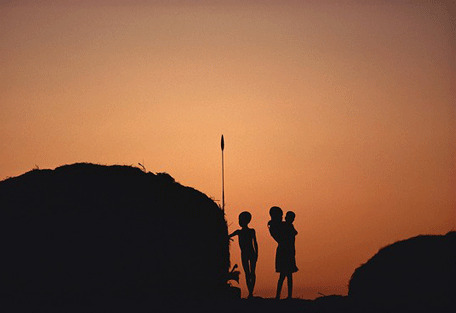 The Lake is a source of life for some of Kenya’s most remote tribes. The Turkana, with ancestral ties to Uganda, live a semi-nomadic existence around the lake. The country’s smallest tribe, the El Molo, live a hunter-gatherer existence on the shores, in villages of distinctive rounded reed huts. This is a rarely visited part of Kenya, as it is fairly remote, but those who make the journey are well rewarded with a memorable experience encompassing so much more than just a safari. Lake Turkana is on the World Heritage list and it serves as universally valuable for the breeding ground of Nile crocodile (of which it is home to the biggest), hippopotamus, and numerous venomous snakes. The area around Lake Turkana is recognised in history as the place where hominid remains have been found amongst other fossils. 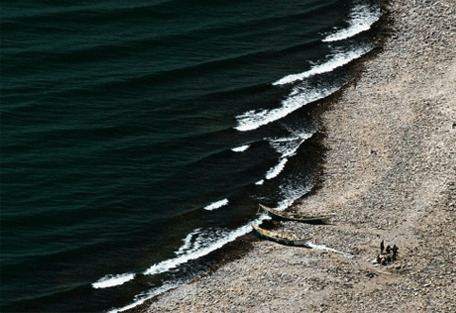 Today, Kenyan tribes reside on the lake shores and live a traditional life as hunter-gatherers and fishermen. 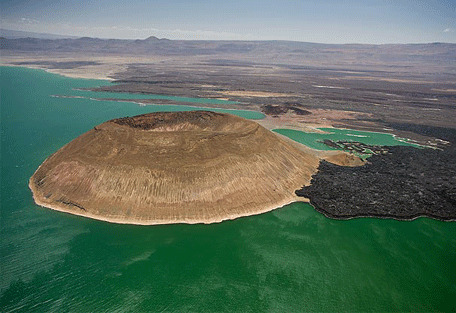 The Central Island (also known as Crocodile Island), in the middle of Lake Turkana, is a volcanic island 500 hectares in size. It is made up of over than a dozen craters and cones, 3 of which have formed lakes. An experience at Lake Turkana will involve geographical beauty, rural homesteads and fishing boats, warm-hearted people, interesting animals and natural discovery. 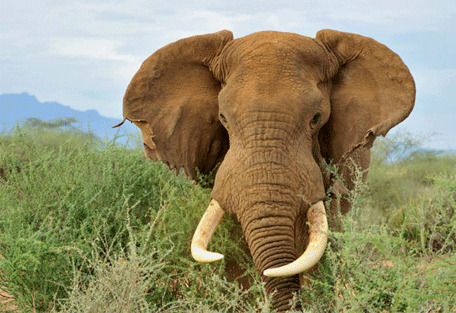 Elliye Springs and Lodge is located on the western shores of Lake Turkana. The lodge has 6 luxury rooms with turkana bomas. The lodge's destination is popular for fishing and other water activities such as canoeing and also kite surfing. ‘The Cradle of Mankind’ is the site at the heart of the Sibiloi National Park, a place of stark beauty and prehistoric petrified forests. Sibiloi is an extremely remote and little visited national park, with tortuous access and virtually no facilities. This is where some of the oldest known hominid remains were discovered, just a part of a trove of fossils that have since been found in the area. The lake itself is a natural treasure, with the world’s single largest Nile crocodile population. In Turkana these reptiles grow to record size, with some of the largest specimens found on remote windswept Central Island. On the lake, South Island is a protected reserve, a rather inhospitable place which provides a breeding ground for crocodile and a home for several species of venomous snake. There is also game at Sibiloi National Park, although in the kind of low densities that one would expect in such a barren and arid area. Elephant, rhino, lion and cheetah are all present, but giraffe, zebra and ostrich are more commonly seen. During the dry season (June to October) the sky is clear and the sun is shining, although these include the coldest months of the year. The climate at Lake Turkana is hot and very dry. 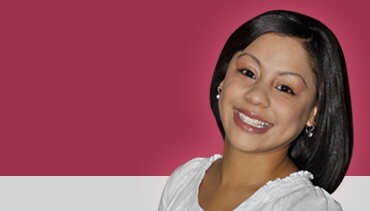 Winds can be extremely strong and sudden violent storms are frequent. Midway along the western shore of Lake Turkana in the shelter of a hollow lies Lobolo Camp, which in the local Turkana language means ‘a place of abundant water'. The 8 ensuite safari-style tents are built among the palm grove. Each tent has the sought after view of the sandy beach, Lake Turkana and Central Island. Desert Rose Lodge is a unique eco-friendly lodge located at 5,500 ft above sea level on the verdant cedar forest slopes of Mt Nyiru. This lodge has a special relationship with Samburu tribe, offering guests insight into the traditional lifestyle. All the design elements of the lodge, from furniture and fireplaces to baths and toilet paper holders are hand-made. 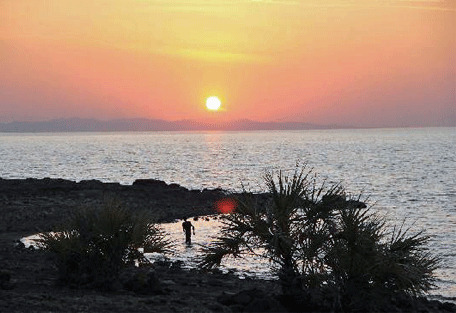 Eliye Springs is a beach resort located on the western shores of Lake Turkana and is known as a fishing destination. Eliye Springs Lodge consists of 6 luxury and unique Turkana bomas, which include double beds, furniture, a veranda facing the Lake, a tiled bathroom and a space for sunbath. Motor boats and fishing equipment are available for guests to enjoy outdoor activities. There are airstrips on both east and west shores of Lake Turkana, which have to be accessed completely separately due to the treacherous Suguta Valley south of the Lake. Guests will fly on a chartered flight from Nairobi before meeting with a local guide at Lake Turkana.